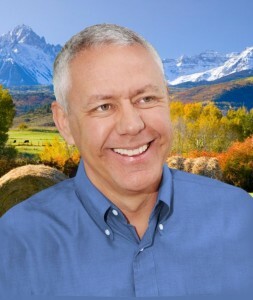 This afternoon, Republicans from across Colorado gathered at Englewood High School to elect new leadership and, ultimately, U.S. Rep. Ken Buck was selected as the new GOP chairman. Buck faced stiff competition from state Rep. Susan Beckman, state party vice chair Sherrie Gibson, and Steve Barlock. The way to win here was to get more than 50% of the vote. In the first round, Beckman led Buck by .6%. In the second round, Buck led Beckman by .7%. In the third round, Beckman led by approximately 3.7%. But neither reached more than 50%. Here’s where it gets dramatic. Gibson withdrew her name, despite garnering a decent share of the vote, and endorsed Buck. Buck won by securing 51.3% of the vote on the fourth ballot. Buck will not step down from his Congressional seat and intends to bring former chairman Steve House back in the executive director role for the day to day. A huge congratulations to all who fought for this role. Everyone should be proud. While Beckman would have excelled at state party chairman, her talents are in good use in the State House. Kristi Burton Brown also was elected vice chair and Devin Camacho was elected secretary. Colorado Attorney General Phil Weiser speaks during a news conference Feb. 19, 2019, in Denver. David Zalubowski | AP Photo? Image from Phil Weiser’s campaign video for Colorado attorney general. Screenshot courtesy of Phil for Colorado? Colorado Attorney General Phil Weiser reminded local law enforcement that they swore an “oath to uphold the rule of law” in a statement Thursday. The reminder comes after numerous counties have passed resolutions denouncing “red flag” gun control legislation that’s expected to pass. House Bill 1177 would allow family members or law enforcement to petition a judge to issue a temporary extreme risk protection order (ERPO) for a person thought to be a threat, after which the person’s weapons could be temporarily seized for up to a year.